If you ask any traveler across the world what is the first thing he imagines when you say “Prague”, most of them would describe the picture of Prague Castle with St. Vitus Cathedral. And that’s what we’re going to take a look at today. 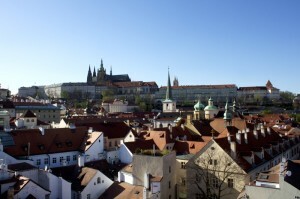 The first thing you should know is that Prague Castle is probably the largest castle in the world. All those magnificent palaces and towers you can see nowadays are a result of more than a thousand years of development. The real heart of Prague Castle is the third courtyard. Here you can find the stunning St. Vitus Cathedral, founded by Charles IV in year 1344. Right next to it is the Old Royal Palace, founded in 12th century. 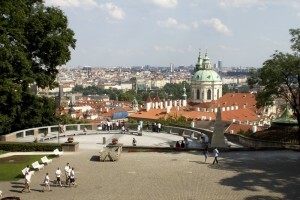 It has been a seat of Czech kings for six centuries. St. George’s basilica is the oldest still-standing church you can find in the area of the Castle. 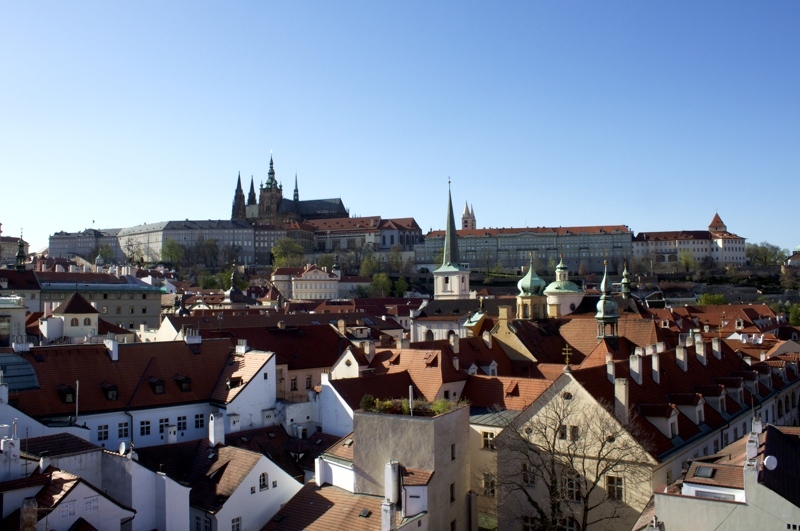 Founded in the 10th century, it provided the place of the last rest of Czech kings until the 13th century. The last part of the castle frequently visited by tourists is Golden Lane. This tiny picturesque lane was founded in 16th century, when new walls of Prague Castle were built. The empty space between old early medieval wall and new wall was quickly filled up with those tiny houses, originally used as housing for Prague Castle’s archers. Next story Prague Lesser Side – Nowhere Better!